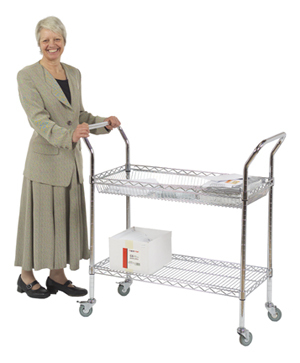 Chrome wire shelving trolley supplied with a storage basket and a standard shelf. Ideal for office or post room applications where items need to be retained. Note: The angled handles protrude 105mm either side of the trolley, adding 310mm to the overall length.